Expired 8mo ago . Last validated 8mo ago . Used 2 times. jesus hernandez I am invalidating this deal, it´s not working, I placed the code and this message appears "This code did not match any active gift card or discount. Was it entered correctly?" . Jose Franco I am validating that this deal works as described. Simply enter the code during the checkout process to apply this discount. There may be some exclusions that apply to this deal. Ariadna Gonzalez I am validating that this deal works as described. 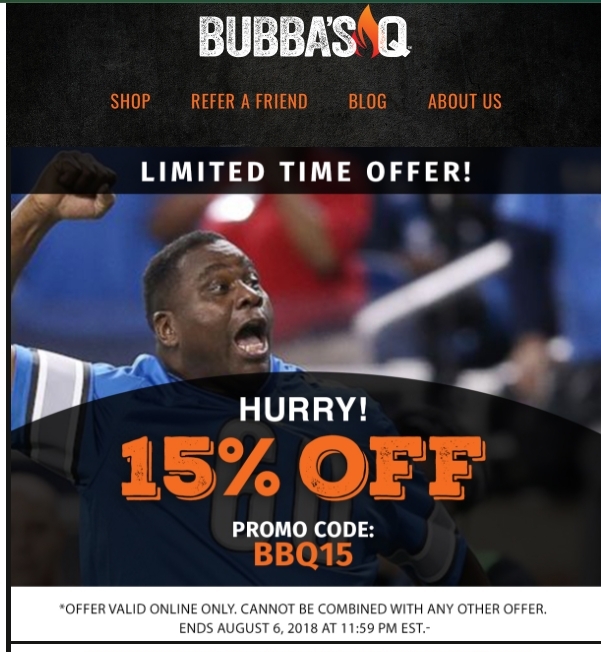 15% Off Your Order at this site. Franklin Patrick This code is working as described. simply place the promotion code at checkout process to receive the offer. 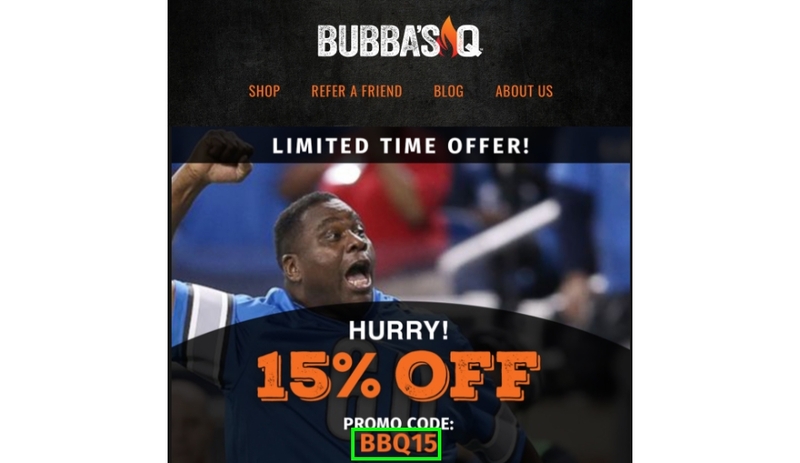 Angie Bailey Apply the promo code BBQ15 at checkout to take 15% off of everything.